The US Drug Watchdog says, "Our recalled DePuy ASR hip implant victim identification initiative is one of the most complicated campaigns we have ever been involved with, because many victims simply do not want to go through a painful hip implant replacement surgery, also called revision surgery, so the hip implant recipient, with the failed hip implant does not complain. We believe this is the case with the DePuy ASR, where out of about 40,000 US recipients, only about 3300 individuals have been identified. We believe the number of DePuy ASR recipients that get identified to the federal court in Ohio should be closer to at least 20,000, so we are going to pull out all of the stops to make certain that is what happens." 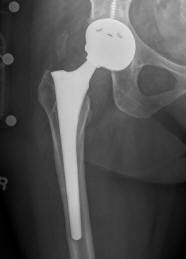 The US Drug Watchdog is urging all DePuy ASR recipients to call them, so the group can explain everything they know about metal-on-metal hip implant failures, the DePuy ASR hip implant failures, and the group can recommend actual national caliber litigation law firms, that are both competent, articulate, and passionate about the recalled DePuy ASR hip implant. The US Drug Watchdog's biggest fear is the DePuy ASR litigation will come to an end, a final sign up date will come, and go, and tens of thousands of DePuy ASR recipients will get left holding the bag, with little to no recourse, if their DePuy ASR hip implant fails in a few years, after the actual settlement. For more information about the DePuy hip implant recall please call the US Drug Watchdog at 866-714-6466, or contact the group via its web site at http://USDrugWatchdog.Com. The US Drug Watchdog is the premier medical device, and pharmaceutical watchdog in the United States. The group says, "We want to make certain all DePuy ASR hip implant victims get to the actual trial law firms or attorneys, that have the best record in achieving superior results for their clients." For more information please contact the US Drug Watchdog anytime at 866-714-6466, or contact the group via its web site at http://USDrugWatchdog.Com.